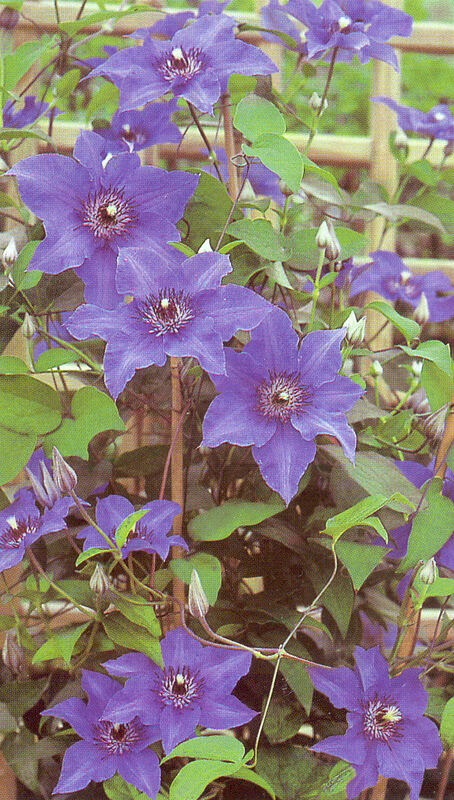 Clematis 'Konigskind' "Climador"™ uspp#21740P2 Pride of Place Plants Inc.
A Florist Quality compact clematis, very floriferous, with doubles and single flowers ,great for container gardening! 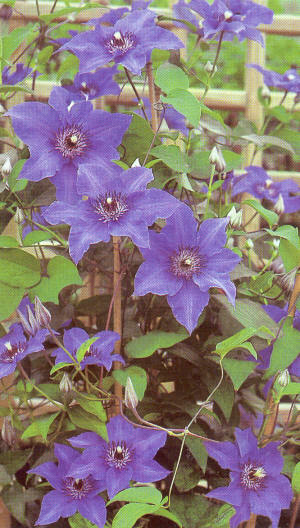 This clematis can actually be kept indoors while flowering! 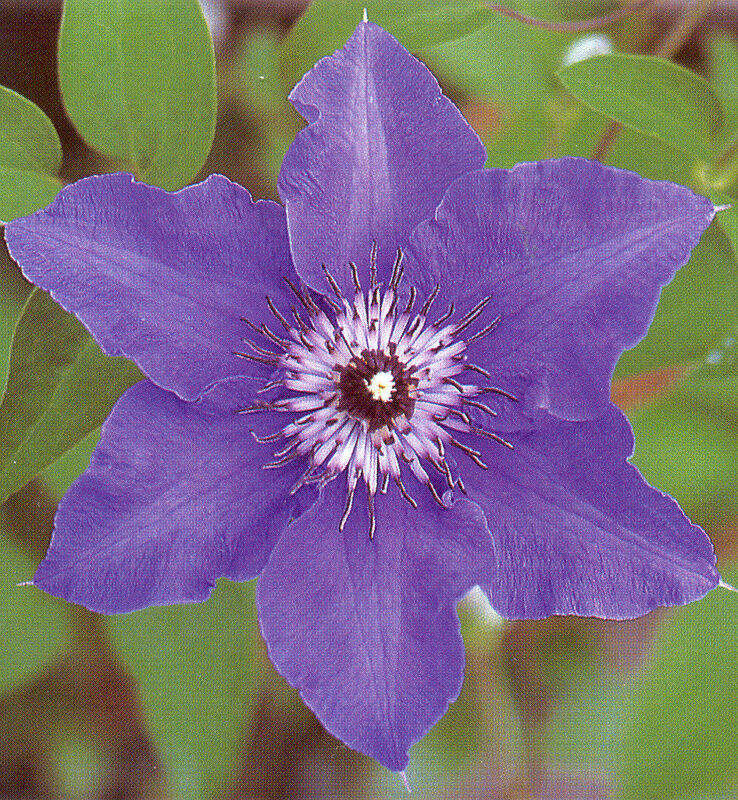 Large mauve-blue flowers of 10-14 cm diameter, forming new buds throughout the flowering period therefore blooming over and over from May through October. 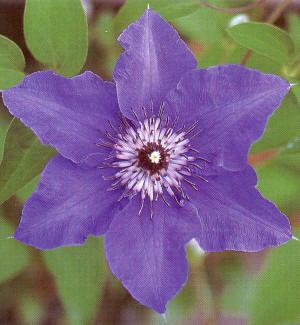 The light mauve filaments with dark maroon anthers make for a show! Prune group 2/3, plant in sun to semi shade.